Claudia joined Atkinson Vinden in early 2017 as the office junior, and is now a litigation paralegal and personal assistant to Managing Partner, Rod Berry. 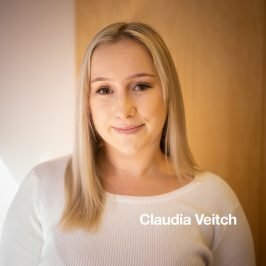 Claudia prides herself on her efficiency and hard worth ethic. Supporting managing partner with administration tasks and other daily duties that occur, including assisting with confidential firm reports. Claudia was a gymnast for over 10 years, starting when she was 4 years of age up until the age of 15. Claudia competed at regional and state levels.